Rubondo Island National Park is one of two Tanzanian National Parks located on an island in Lake Victoria the other being Saanane Island National Park. The island attracts a small number of visitors each year, mainly game fishermen and bird enthusiasts. Rubondo Island is located in the south-western corner of Lake Victoria, Tanzania. Rubondo Island is about 150 km (93 mi) west of Mwanza. The main island, Rubondo is 237 km2 in size. The island protects another 11 islets, none much larger than 2 km2. These 10 islands form the Rubondo Island National Park covering an area of 456.8 km2 (176.4 sq mi). Lake Victoria is 1,134 metres above sea level. The highest point on Rubondo is the Masa Hills in the far south, at an elevation of 1,486m, 350m above the level of the lake. The main island measures 28 km from north to south and is 3–10 km wide. Rubondo Island is on a rift in the lake. Rubondo essentially consists of a partially submerged rift of four volcanically formed hills, linked by three flatter isthmuses. The island has no rivers and the soil is volcanic. The habitat is mixed evergreen and semideciduous forest, which covers about 80% of the island’s surface area with common species including Croton sylvaticus, Drypetes gerrardii, and Lecaniodiscus fraxinifolius, and often with a dense understory of lianas, or woody vines. The forest is interspersed with patches of open grassland and, all but restricted to the Lukaya area, acacia woodland. The eastern lakeshore is characterised by rocky areas and sandy beaches whilst the western shore supports extensive papyrus swamps, lined with date palms. There is a bimodal rainfall distribution, with peaks in December and April–May during the October–May rainy season. The annual temperature is 19–26 0C. Rubondo Island became a game reserve in 1965, to provide a sanctuary for animals. Rubondo Island was gazetted as a national park in 1977. Today Rubondo is uninhabited. 80% of the island remains forested today. The 400 fisher folk of the Zinza tribe, who lived on the island and maintained banana plantations, were resettled on neighbouring islands and onto the mainland by the government in the late 1960s. As a rule the court passed sentences of six weeks imprisonment for unauthorised landings on the island and six months for attempted poaching. Over a four-year period (1966–1969) Professor Bernhard Grzimek of the Frankfurt Zoological Society (FZS) released 17 chimpanzees in four cohorts onto Rubondo Island. The first cohort of chimpanzees arrived in Dar es Salaam aboard the German African Line’s steamship Eibe Oldendorff on 17 June 1966. The animals had no rehabilitation or pre-release training. The chimpanzees were all wild-born and purportedly of West African descent,although there are no records of specific country of origin for the majority of released individuals. The founder chimpanzees had spent varying periods, from 3.5 months to 9 years, in captivity in European zoos or circuses before their release. 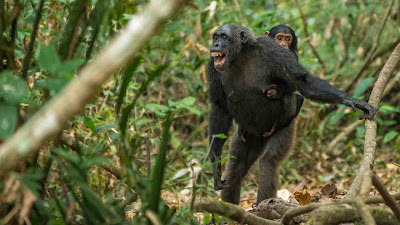 The chimpanzees after one year were able to find and eat wild foods and construct nests for sleeping, and have now reverted to an unhabituated state characteristic of wild chimpanzees. From 16 founders the population has now grown to around 40 individuals,estimate based on nest counts. In addition to chimpanzees, seven other species were introduced to the island: Roan antelope (Hippotragus equinus) and rhinoceros (Diceros bicornis) both now extinct, Suni antelope (Neotragus moschatus), elephants (Loxodonta africana), twelve giraffes (Giraffa camelopardalis), 20 black-and-white colobus monkeys (Colobus guereza), and African grey parrots (Psittacus erithacus) confiscated from illegal trade. In 2012-2014 a research group from University College London undertook a study of the Rubondo chimpanzees. 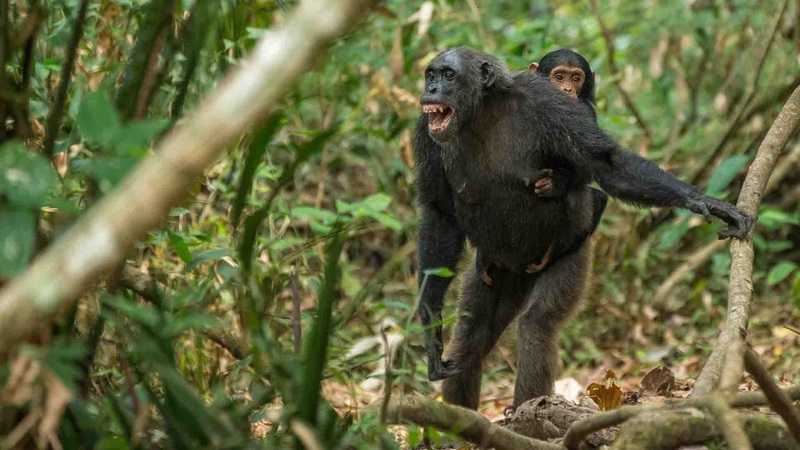 Since 2015 Tanzania national park managers have been running a chimpanzee habituation project. The hope is that one day it will be possible to reliably view the Rubondo chimpanzees. It is still not possible to see the Rubondo chimpanzees as a visitor. Rubondo Island can be reached by park boat from two different locations. One option is the boat from Kasenda, a small village near Muganza in Chato District. The other option is the boat from Nkome in Geita District. By airplane, Rubondo Airstrip can be reached with Auric Air or Coastal Aviation. Ukerewe is the largest island in Lake Victoria and the largest inland island in Africa, with an area of approximately 530 km². Ukerewe Island is situated in the Ukerewe District of Tanzania, 45 km (25 nautical miles / 3½ hours) north of Mwanza to which it is linked by ferry,but a shorter vehicle ferry crossing of only 3.8 km also links the island across the Rugezi Channel to a dirt road on the eastern lake shore, which runs to Kibara and Musoma. The shoreline of Ukerewe Island is carved into numerous bays and it is surrounded by at least a dozen smaller islands. Its largest community is Nansio. 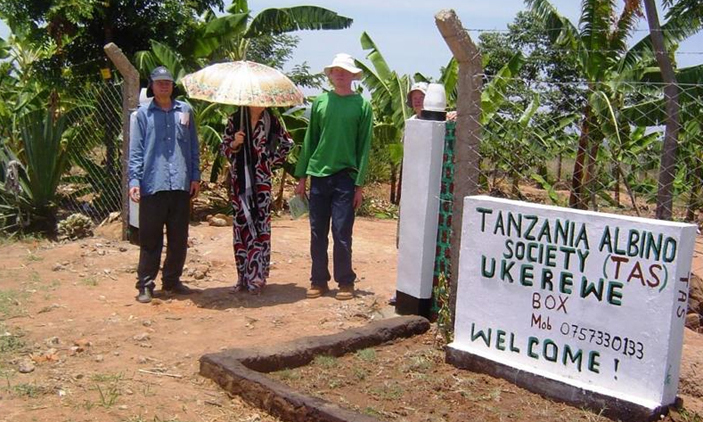 Ukerewe is known for having a large population of Africans with albinism. Many of the first of them to live there were taken to and abandoned on the island by their families as children. Despite comprising an exceptionally high percentage of the island's population, they are still, as throughout Tanzania, an oppressed minority although on Ukerewe safer than elsewhere in Africa.